In Tchaikovsky’s intense opera of obsession and the supernatural, Gherman is caught between the woman he loves and a destructive fixation. 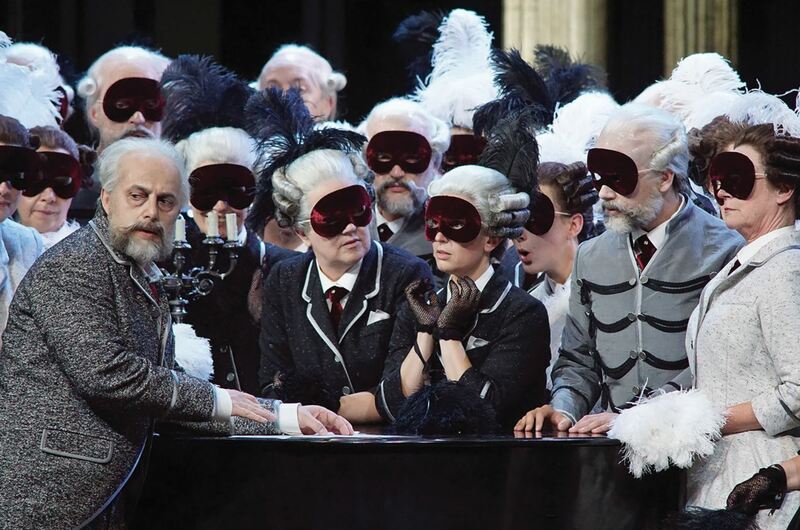 The Queen of Spades is based on a short story by Pushkin, and comes to the Royal Opera House in a new production that has already garnered five-star reviews in Amsterdam. The production is set in 1890, the year of the opera’s premiere. In his study, Tchaikovsky imagines the opera into life as his own story, its characters giving voice to his unfulfilled desires. Aleksandrs Antonenko and Eva-Maria Westbroek head the cast and Royal Opera Chorus, conducted by Antonio Pappano, Music Director of The Royal Opera. This is an engrossing portrayal of a tortured creative artist and a gripping piece of gothic storytelling.